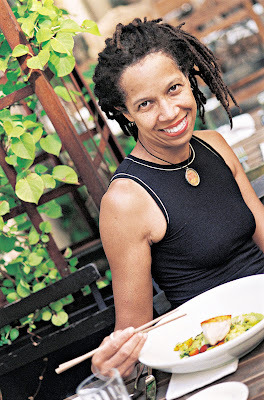 It’s been a year and a half since I wrote about the impending closure of Marjorie, divulging Donna Moodie’s plans to relocate her Belltown bistro and bar after the building that housed it was sold. “When I found out I had to move, I felt really devastated,” she said at the time. 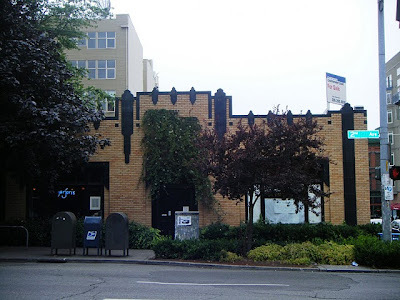 “But then I looked around and saw it was a great opportunity, too.” At year’s end, opportunity knocked, and plans are now underway to recreate Marjorie in a new space adjacent to the Chloe Apartments on Capitol Hill. Sure, the site isn’t everything Donna wanted when she was dreaming of her next move, but in this economy, she says, it’s got everything she needs. Dig the new digs — just off the corner of 14th and East Union. “Last year wasn’t a bad year to sit out the restaurant business,” insists Donna, who spent 2009 making plans for her restaurant, consulting on others, and waiting tables at bustling little How to Cook a Wolf. “Working at Wolf has inspired me to think smaller,” she says. How small? Forty seats, including bar stools. 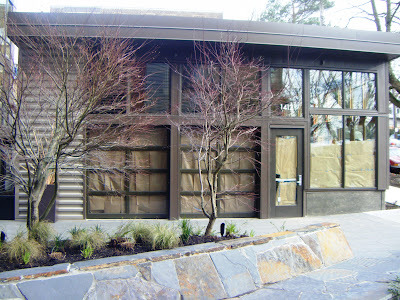 As for Marjorie’s opening date, she’s guessing April or May — barring permitting problems. 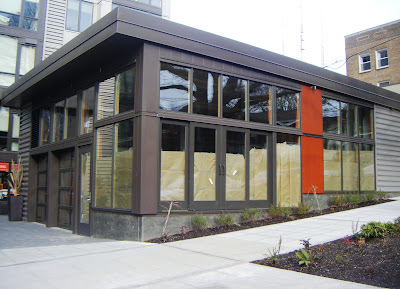 In addition, says Donna, “It’s a big deal to be near the Central District, because I have a commitment to that area.” One that had her very close to signing a lease for the former Cremant space, hardby the CD in Madrona (stay tuned to All You Can Eat for more news on that sleek little storefront). 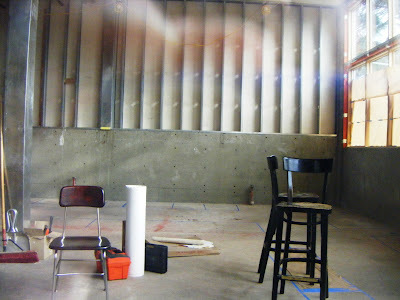 Take a sneak peek through the glass at 1412 E. Union — as I did last week — and you’ll find that for now, at least, there’s not much to see save for light, space and concrete. The new Marjorie — through the looking glass. Envisioning a space and making it your own is part of the fun of creating a new restaurant, something Donna’s done to great effect thrice before — with Marco’s Supperclub (now owned by her wasband, Marco Rulff) and with Lush Life, later reincarnated as Marjorie. The original Marjorie (at left) in the McGraw-Kittenger-Case building, now home to Buckley’s in Belltown. “It’s really important to update and modernize without losing a sense of who you are,” she says. “That’s the way I approach business in general: be aware of the pulse of trends without being trendy.” Knowing your customer-base, and giving them something new and different — while at the same time embracing the comfort of familiarity — is her goal on Capitol Hill. The adorable patio. Pretty cute. Like so many restaurant vets now in the process of changing spaces, Donna’s got a lot of decisions to make in the coming months. “As anxious as you are to get open, there’s always a level of craziness, so it’s nice to have time to fine-tune,” she says. That fine-tuning will include finding the right chef to run the kitchen. Her pastry chef from Marjorie is still on board, as is her longtime bartender Ben Sherwood, who will double as GM.